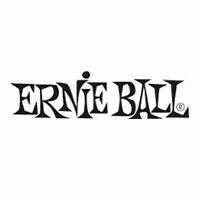 Ernie Ball 2221 Regular Slinky Nickel Wound electric guitar strings are EB's top selling set and are favored by many musicians around the globe. Regular Slinky strings are played by Eric Clapton, John Mayer, Steve Vai and legions of guitar players worldwide. Gauges .010, .013, .017, .026, .036, .046. If you have any questions, give us a call or stop by to pick up your favorite sets of Ernie Ball strings at Ken Stanton Music and save today.